bank of ghana Archives - Africa M.E. ACCRA (Reuters) – Ghana’s new central bank governor said on Monday his top priority was to fight inflation, but he also wanted to pursue new policies to boost local business growth. In his first interview since being named Bank of Ghana governor last week, Abdul-Nashiru Issahaku pledged full commitment to an International Monetary Fund (IMF) programme aimed at stabilising the economy. Consumer inflation in the West African country, an exporter of gold, cocoa and oil, eased to 18.5 percent in February from 19 percent in January. 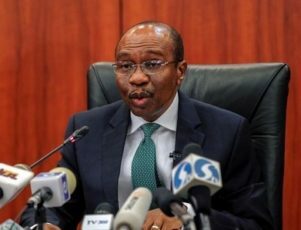 But it remains above the government’s upper target of 15.7 percent, while the central bank’s benchmark 91-day Treasury bill rate stood at 22.7713 percent on Friday. At the same time, gross domestic product growth has fallen from around 14 percent in 2011 to 4.1 percent last year, in part because of a global slump in commodity prices. President John Mahama promoted Issahaku from deputy governor when his predecessor, Henry Kofi Wampah, stepped down last month ahead of what is expected to be a closely fought election in November when Mahama will run for a second term. Issahaku takes over at a crucial time for the bank, one year into the IMF programme. Some fear the election will put pressure on policy makers, including the central bank, which is independent, to loosen financial controls. It also comes as the bank’s main lending rate stands at 26 percent, leading to complaints by many in the business community that it is stifling growth. Issahaku, a member of the government’s economic management team, said he would work with the Finance Ministry and other agencies to maintain spending limits. “Elections or no elections, I remain committed to the programmes and we cannot afford to derail,” he told Reuters. Ghana was one of Africa’s economic stars for years. Since the 2012 election, however, it has been tackling a budget deficit, high levels of public debt, inflation and a currency that fell sharply in 2014 and 2015. 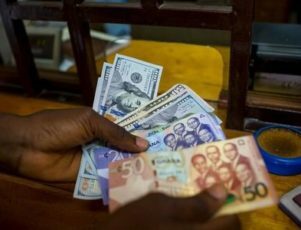 Ghana’s cedi currency withstood a seasonal first quarter pressures to rally against the dollar in a sign of the impact of the IMF programme and bank policies. Issahaku said he wants to sanitize the financial sector, especially micro finance firms, and enhance the regulator’s transparency and capacity. To boost growth, he would consider options to provide incentives to banks to offer credit to strategic sectors at reasonable rates. The governor has worked with the World Bank and the African Development Bank and holds a PhD in International Affairs and Development from Clark Atlanta University. 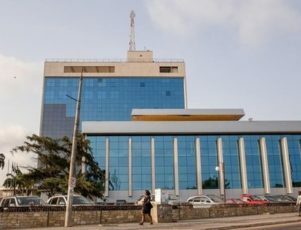 ACCRA (Reuters) – Ghana’s central bank kept its benchmark policy rate at 26 percent on Monday citing moderation in the pace of consumer inflation, its governor Henry Kofi Wampah said. The West African nation is under a three-year aid program with the International Monetary Fund (IMF) to support an economy dogged by high fiscal deficits and public debt, with consumer inflation consistently above government target. The Bank of Ghana had set the current rate in November, its highest level in 12 years. “The current tight monetary stance, supported by the continuing fiscal consolidation and improvement in the energy situation have led to a low risk in the outlook,” Wampah told journalists. Ghana’s consumer inflation rose marginally to 17.7 percent, one of the highest in the West African region but Wampah said the central bank’s monetary tightening in recent months could limit any further rise. “Going forward, the committee expects the slower pace of price changes to continue and steer inflation down towards the medium target band of eight percent, plus or minus two percent,” Wampah said. Ghana’s economy is expected to pick up speed this year, even as the government abides by IMF-set spending limits, and Wampah said the bank had begun its zero financing of the budget deficit limit placed on it under the aid deal. The country is preparing to hold presidential and parliamentary elections in November which are expected to produce a tight race between President John Mahama and Nana Akufo Addo of the main opposition New Patriotic Party, partly due to economic concerns.